Amy Winehouse was far more than a mid 2000s chart sensation. With her sophomore album “Back To Black” in 2006 she was catapulted into stardom with the success of the single “Rehab.” Her stature as a pop star was actually eclipsed by her critical acclaim. With her influences running deep through Erykah Badu back to Etta James and even Billie Holiday she obviously had a good pedigree for her music career. Unfortunately in 2011 at the all too familiar age of 27 her career was cut short due to drug use. So “Back To Black” suddenly became her last album as well and the irony of her biggest hit “Rehab” now hitting way too close to home. The album is filled out with solid songs however, many better than “Rehab.” There is the jazzy “You Know I’m No Good” that is a solid go-to for women who carry guilt with them. The incredibly delicate “Love Is A Losing Game” is the perfect song for a woman to drink a glass of wine to as they morn an ended relationship as well. The title track falls right in line as late night partying song to sing along to while keeping the tempos mellow and showing off Winehouse’s great vocals as most tracks here do. This album is a good example of a modern LP that is good to own on vinyl. Soul records just seem to fit better on this medium. Maybe it is all perspective but it is hard to deny that some records seem to have more life when presented with a dragging needle and a few pops. It’s a shame we don’t have more Amy Winehouse records to listen to but this one is still good to hide on the edge of the collection for something a little different. 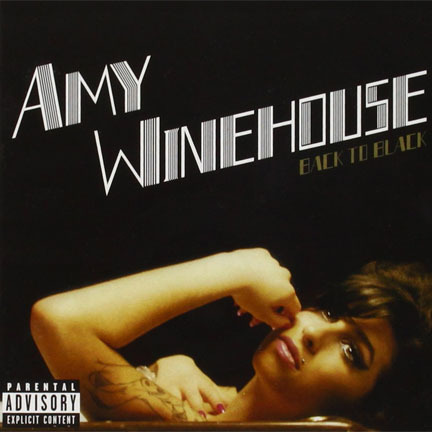 This entry was posted in The Vinyl Court and tagged 2006, album review, Amy Winehouse, Billie Holiday, Erykah Badu, Etta James, Hastings, overdose, record, Rehab, Soul, soul music, vinyl, vinyl corner, Vinyl court. Bookmark the permalink.